The R8 ECU is a fully sequential 8 cylinder engine control system designed for high performance Drag Race applications. 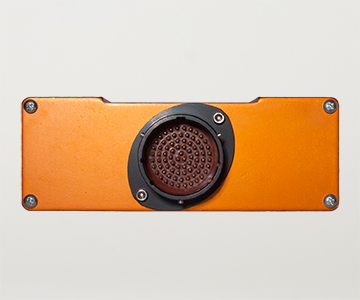 The enclosure is extruded 6061 aluminium that is environmentally sealed and features an Autosport 79 pin main connector. Unique to the R8 ECU is the fully programmable 8 stage Nitrous Control software. Eight (8) high resolution timers control the fuel added, spark retard and nitrous for each stage. The R8 is a fully sequential 8 cylinder system that supports 3D Fuel, Spark and Phase maps with 40 rpm sites and 20 load sites all user programmable. 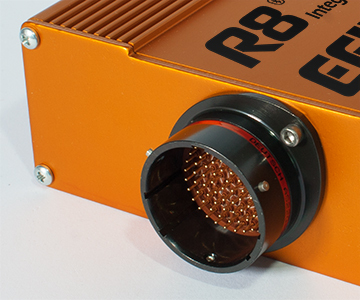 The R8 ECU has 8 Stage Nitrous Control with fully programmable fuel, spark and nitrous settings for each stage. The ECU has dedicated Transbrake and Master arm inputs to activate the system. 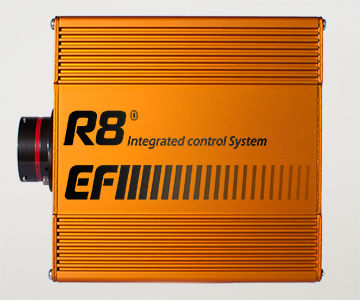 The R8 has 6 dedicated outputs for transmission control and can fully replicate all the standard ACD box functions. Shift points can be set by rpm or time. Converter lockup outputs are also available with adjustable rpm limits. The R8 has a unique "Auto Purge" function for the Nitrous bottle pressure. A momentary ECU switch input activates the function that brings the bottle pressure down to the programmed value. The R8 also has an automatic chute release function that deploys the chute at the programmed time after launch. A safety over-ride input is also available. 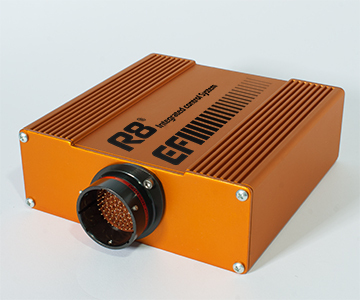 In addition the R8 ECU hosts a full line of strategies for racing applications including: Launch Control, Idle Control, Closed loop lambda, Boost Control, Vanos Control, Paddle Shift, Engine Protection, Self Diagnostics and much more. Dimensions: 5.0" x 4.5" x 1.6"